2. Use Extension Installer to install this extension vie_extra_positions_pro.ocmod.xml and go to Admin > Extensions > Modifications and click on Refresh button. 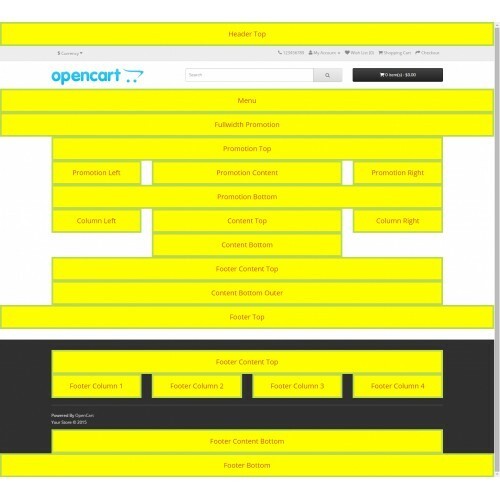 Live Theme Editor customizes the OpenCart 2 theme completely.